November isn’t just time to prepare for the holidays, although celebrations tend to take center stage. It’s also a time to recognize entrepreneurship. National Entrepreneurship Month was established in 2012, two years after the first National Entrepreneurs’ Day. That day is celebrated on the third Tuesday in November, but we take this opportunity to acknowledge the spirit of entrepreneurship all month long. SCORE would like to highlight some of our talented younger entrepreneur clients, from millennials to pre-teens, during this special month. Who are the newest entrepreneurs? Millennials are the newest generation of small business owners who choose self-employment for the same reasons as their predecessors: they want to be their own bosses, want flexibility and want to do work they’re passionate about. About four percent of millennials report being self-employed at age 30, but they’re not the only young entrepreneurs out there. Generation Z, comprised of people born between the mid-1990s to the mid-2000s, are developing interests and learning that small business can be a viable route for them — even perhaps while they’re still students. SCORE client Seth Spencer grew his technology consulting business while attending college full time. Even as a student, he was able to move his business from his home to an office, and he has a team that serves customers more effectively while increasing revenue. While his busy schedule meant he could only meet with mentors Jack Phelps and Jane Szymczak every month or so, he knew his mentors were easy to reach by phone if he had a question. Meanwhile, Jake Reisdorf’s business, Carmel Honey Company, developed from a school project about honeybees. As a young beekeeper, he sells the honey his colony produces and offers honeybee education programs. His passion and dedication helped him earn the 2016 SCORE Outstanding Young Entrepreneur Award! Kids can start making business decisions even if they’re selling lemonade or raking leaves, although help from parents and mentors is important. These hard-working young people may someday be leaders in the business world! Young people with a knack for time management may seek to start a small business as a side hustle to test the entrepreneurial waters. Gradual business growth as a part-time gig can validate a business idea while providing additional income. Volunteering to serve the small business community is one more way that young people can learn more about the world of entrepreneurship. Kenny Soto credits his time during college as a SCORE resource volunteer for fostering his skills in marketing, branding, public speaking and consulting. 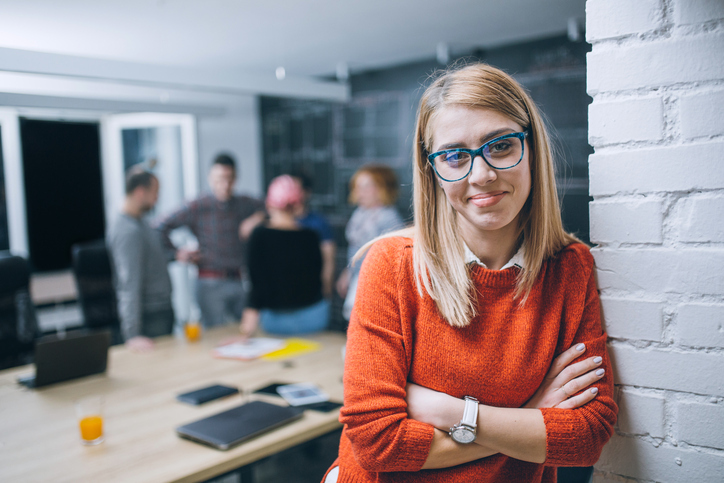 Whether you’re a millennial, a part of Generation Z, or don’t have a clue what generation you belong to, small business is a place for all ages. Celebrate National Entrepreneurship Month by meeting with a SCORE mentor to talk about your business ideas.